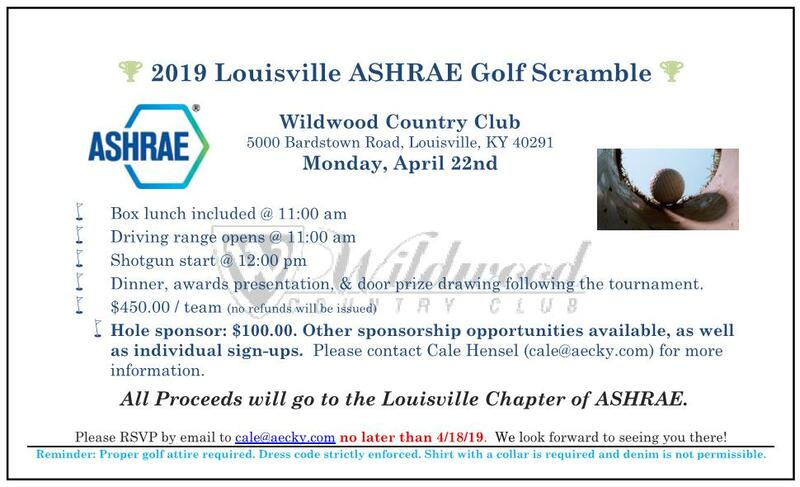 The Louisville and Bluegrass ASHRAE Chapters will be holding a Government Outreach Day at the state Capitol in Frankfort on Feburary 21, 2019 during Engineers Week. The goal will be to meet with as many public officials as possible tell them about ASHRAE and the resources ASHRAE can provide to them. About half a dozen volunteers are needed to help canvass the capitol. We are hoping to have a geographically diverse representation of Kentucky ASHRAE members from urban and rural districts across the state, but we will take as much help as we can get. If you are interested in participating in or learning more about the Government Outreach Day, please send an email to c055ggac@ashrae.net.